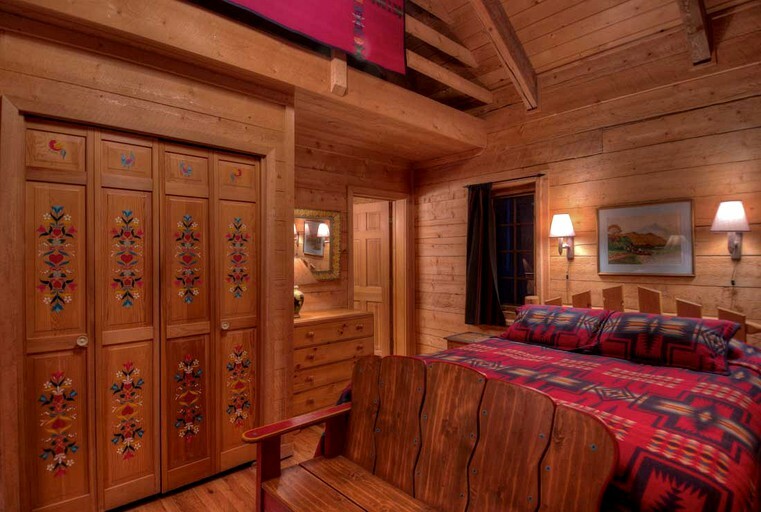 Each of the luxury cabins on this property comes decorated with beautiful antiques, Native American rugs, plush down comforters, wood-burning stoves, hair dryers and robes, all of which add to your luxurious stay. 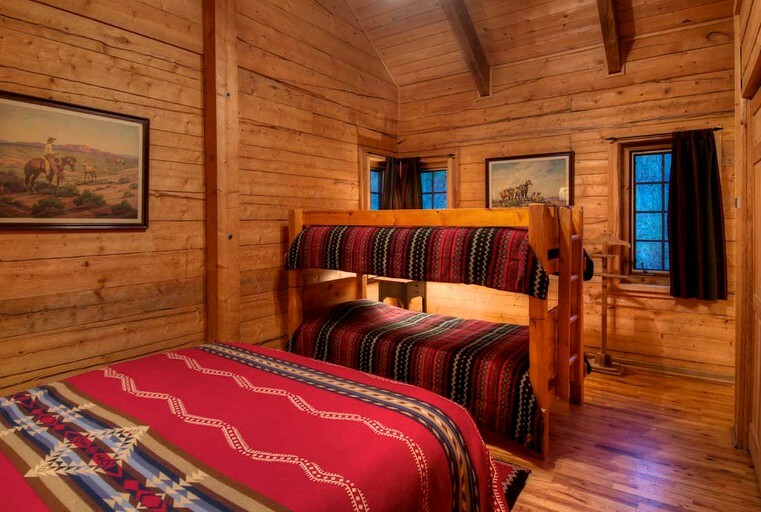 Some of the cabins have lofts that are perfect for kids. 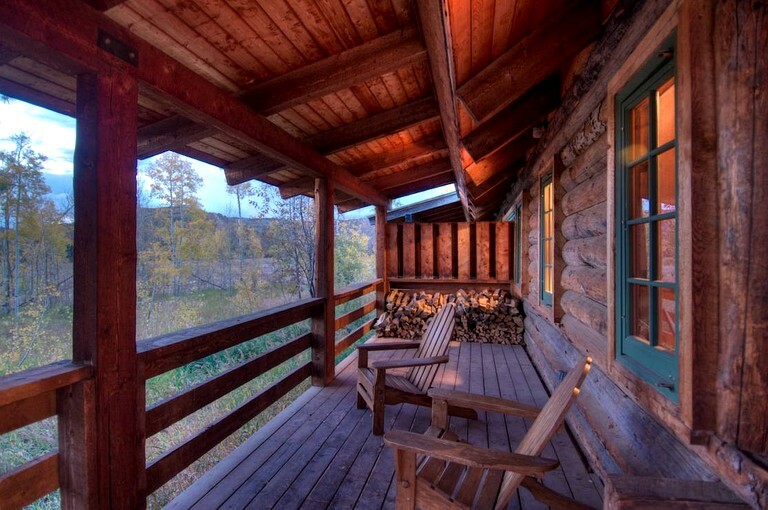 Each cabin has its own porch and hot tub, which is simply perfect for a little bit of rest and relaxation. Below you’ll find each of the cabins described in a bit more detail. 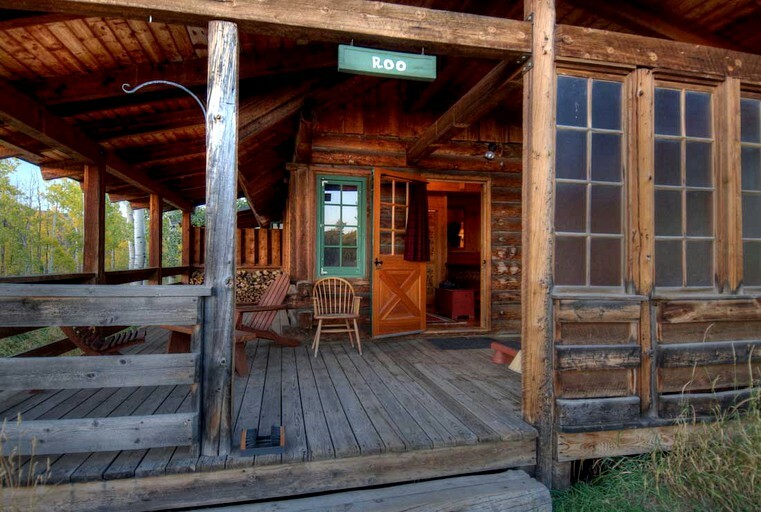 Roo: This cabin is perfect for a couple or a small family of three or four. 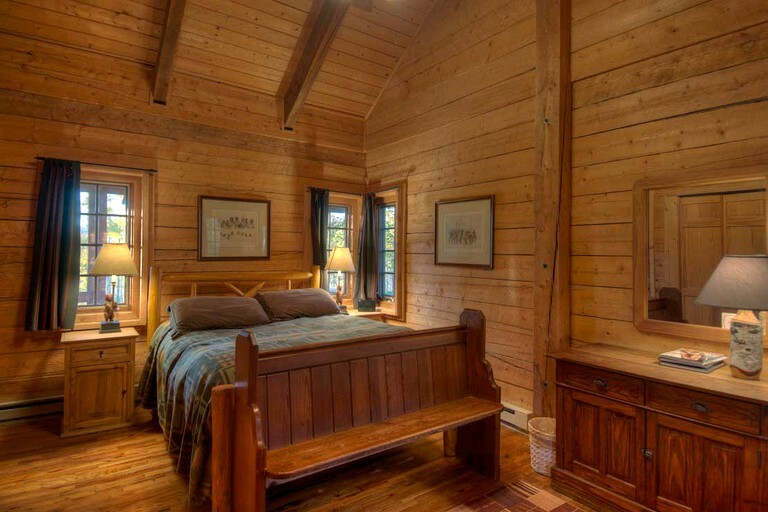 Charming and whimsical, this cabin is actually named of the adorable character from “Winnie The Pooh.” It’s a lovely cabin that comes with a queen bed, a cozy sleeping loft with a twin bed, and there’s another twin bed in the alcove. 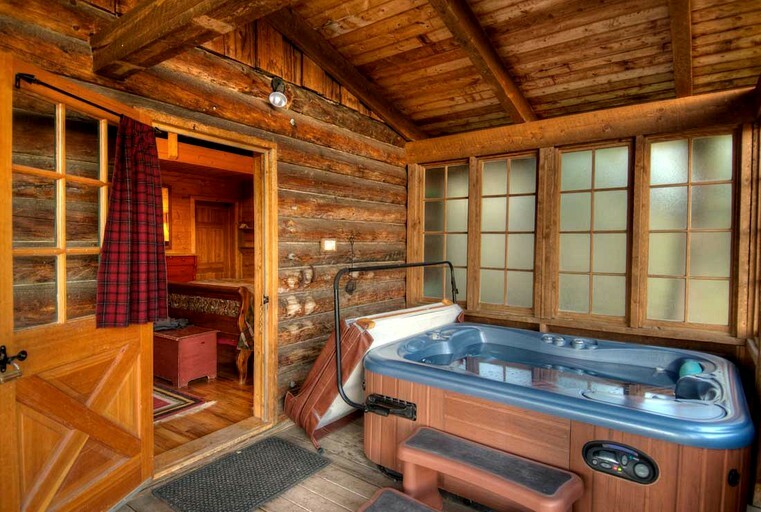 There’s a small seating area, a wood stove, a writing desk and its own Jacuzzi right on the deck. 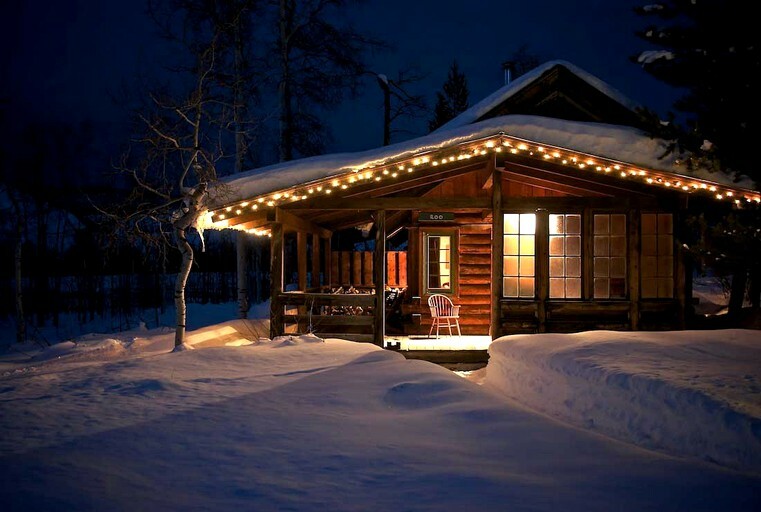 This cabin is the closest one to the lodge. 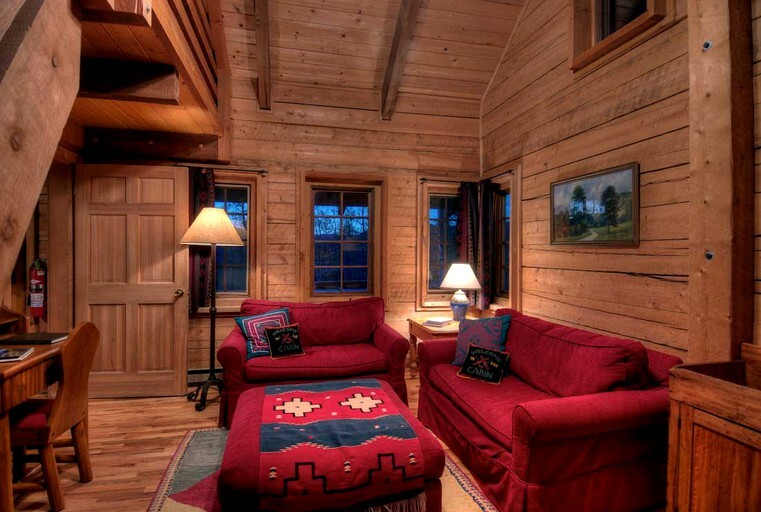 Kanga: This cabin is also a great option for a couple or a family of three or four. 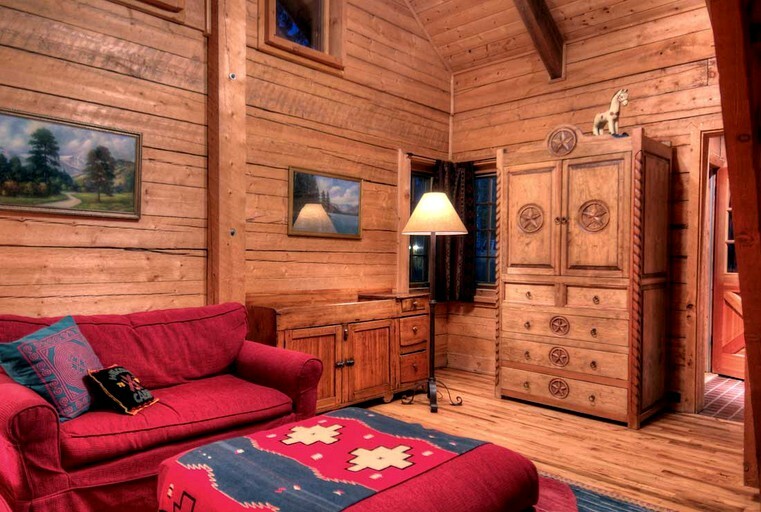 This one-bedroom cabin overlooks the horse pasture, and there’s a living room, as well as a nice loft. 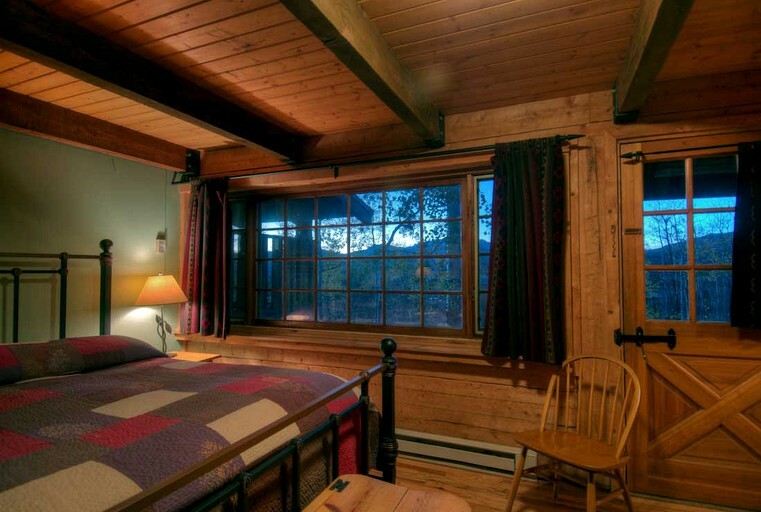 The bedroom is equipped with a big king-sized bed and a woodstove. 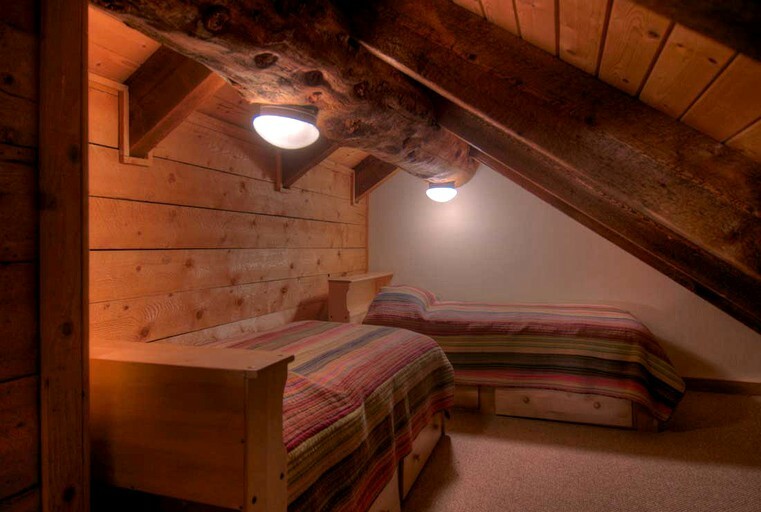 The loft houses two twin beds. In the living room, you’ll find two loveseats, an antique dry sink, an armoire and a writing desk. 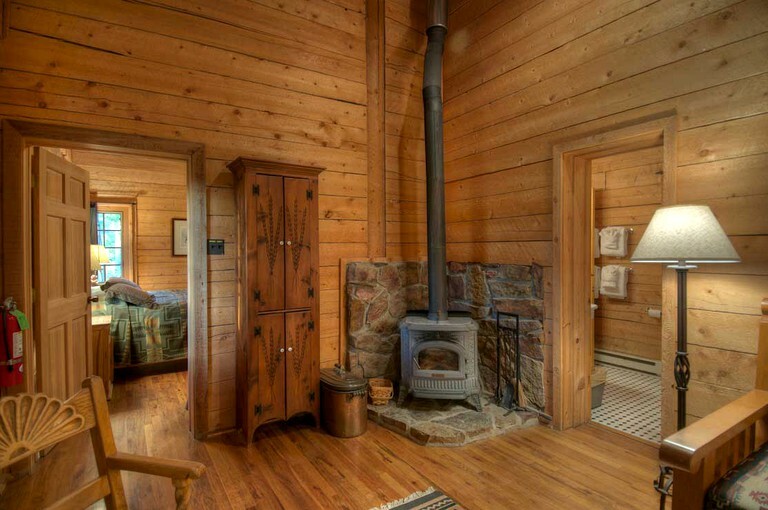 Birdhouse: Perfect for a couple or small family, this cozy cabin comes with a fireplace, a queen-sized bed, a cozy sitting area, a sleeping alcove with a writing desk and a twin bed, and a lovely loft with another twin bed. 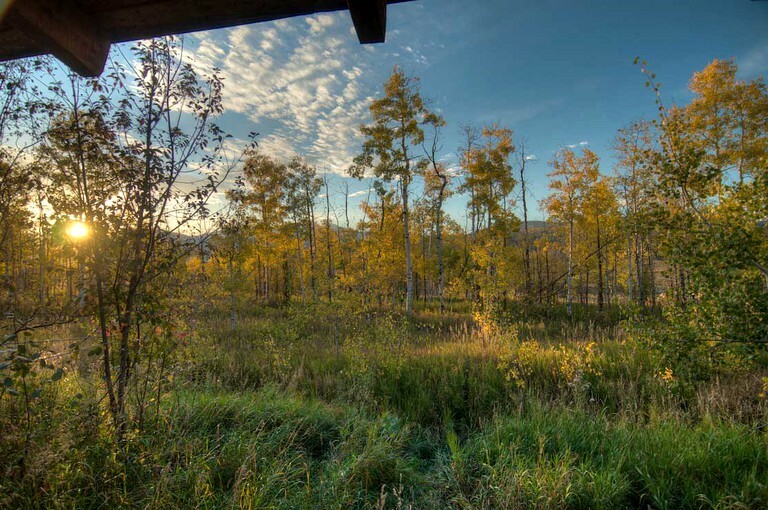 You’ll have wonderful views of horses, and you’ll be surrounded by aspens while staying in this luxury cabin. 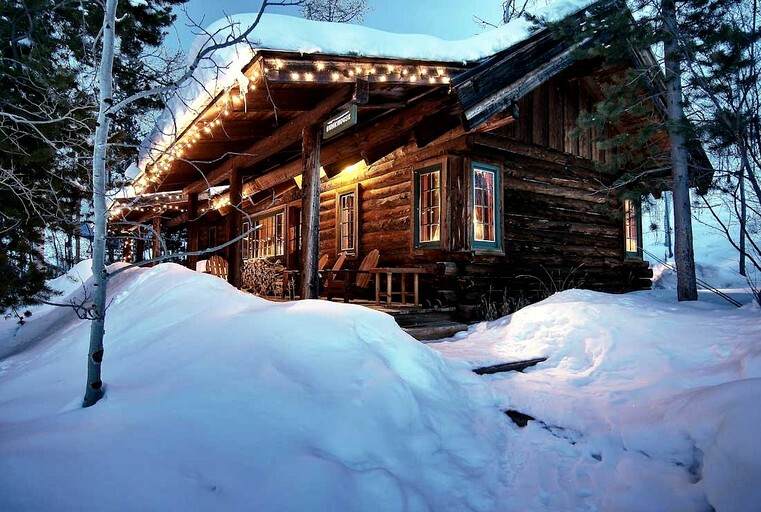 Whistler: This luxury cabin is perfect for up to a big family of five. 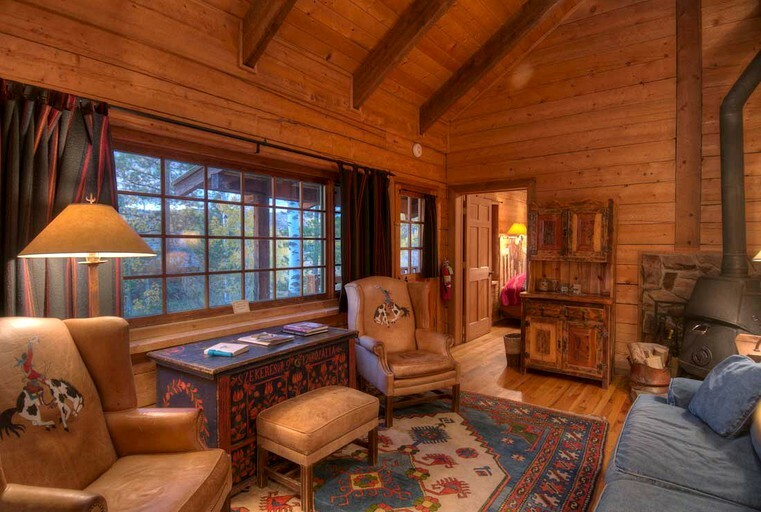 This one-bedroom cabin is tucked within beautiful aspen trees and looks over a lovely pasture filled with horses. 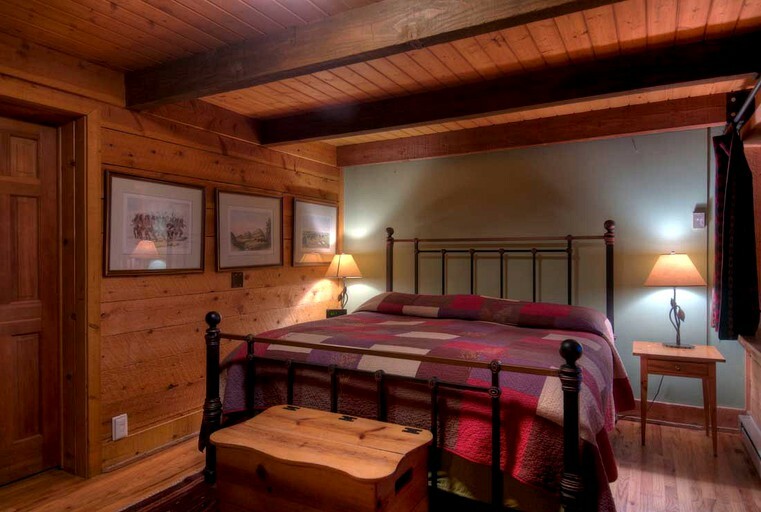 Inside the cabin’s bedroom, there is a king-sized bed and a twin bed for a child. There is also a cozy living room with twin handmade daybeds. 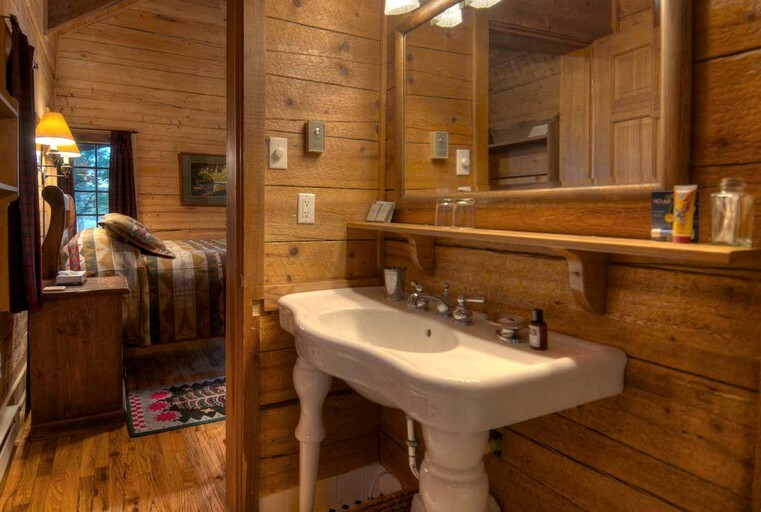 This cabin happens to be the farthest cabin away from the lodge, so if you’re looking for complete privacy and seclusion, this cabin’s for you. 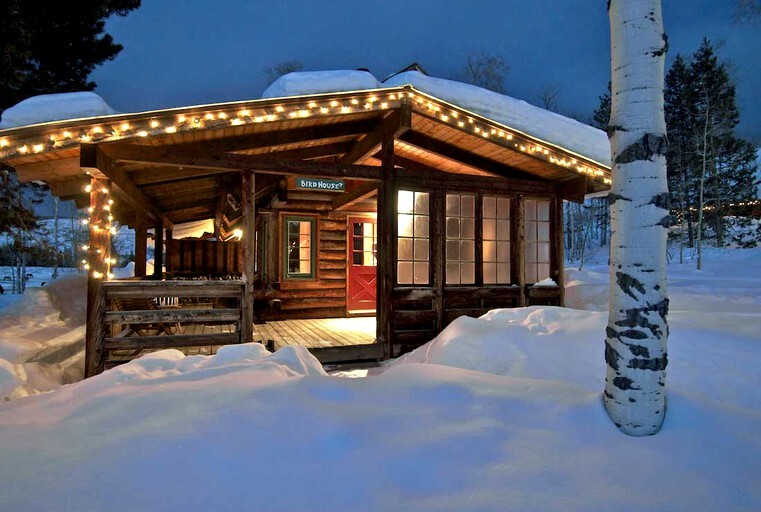 Sundown: This beautiful cabin can also accommodate up to a family of five. Placed on the edge of the meadow, this cabin faces west towards Sand Mountain, and it offers great views of sunsets across the valley. 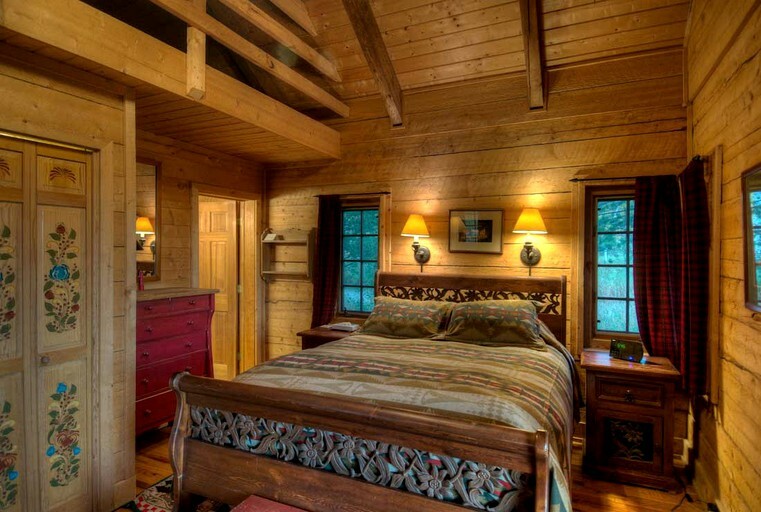 The cabin has one bedroom with a queen bed and a twin bed, a living room and a loft with two more twin beds. You’ll also find a cozy sofa bed in the living room. 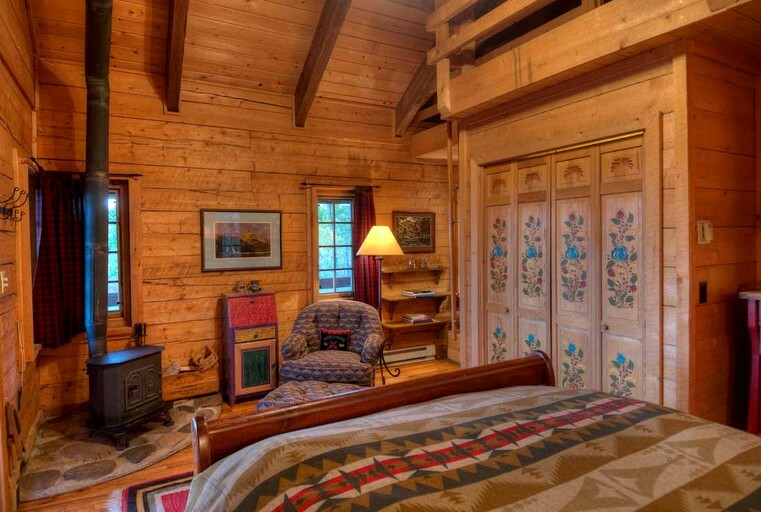 An interesting touch that this cabin also has are the beautiful treasures hung upon its walls. There are six beautiful portraits of Native American chiefs, which were part of the famed McKenney-Hall series of lithographs made from the History of Indian Tribes of North America. 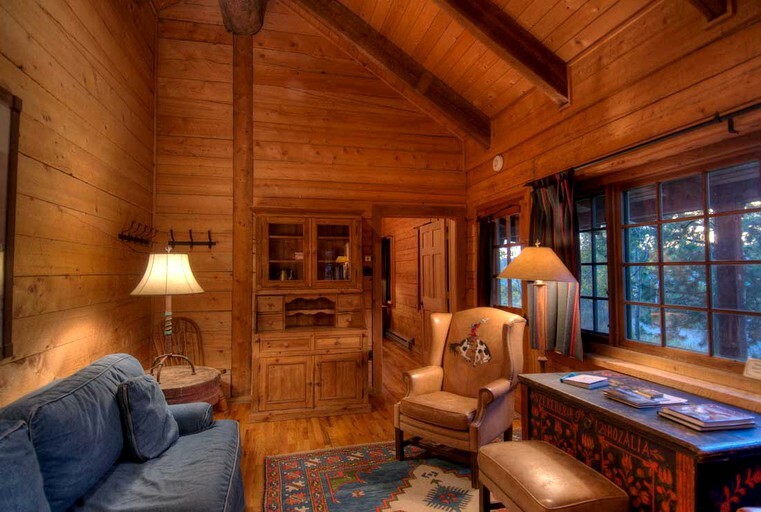 Compromise: This is another cabin that comfortably accommodates up to five. 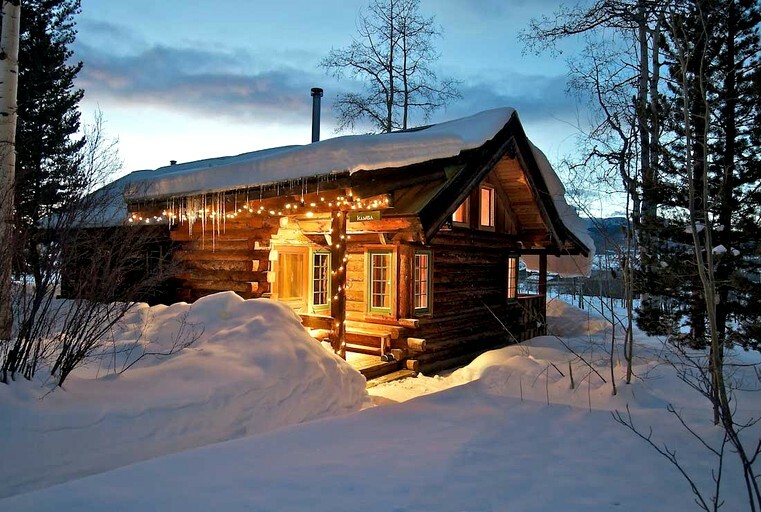 This lovely little cabin is tucked deep with in the aspens, and it’s truly a sight to be seen. It comes with one bedroom, a living room and a cozy little loft. 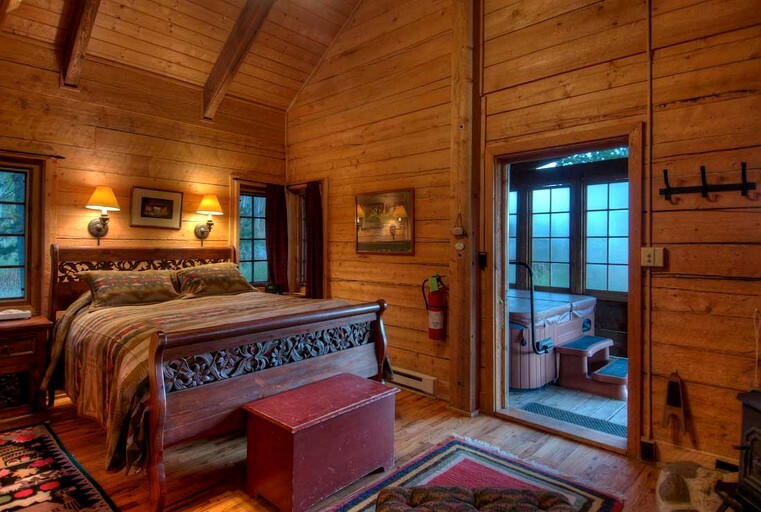 The bedroom has a queen-sized bed and a twin-sized bed, and the loft boasts two twin-sized beds. 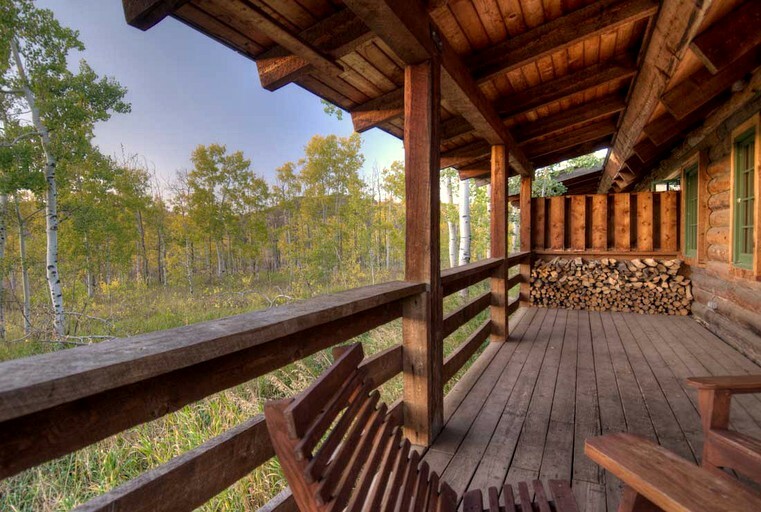 There’s also your own beautiful hot tub to enjoy, but don’t be surprised if a deer stops by to visit – this cabin is surrounded by lots of inquisitive wildlife. 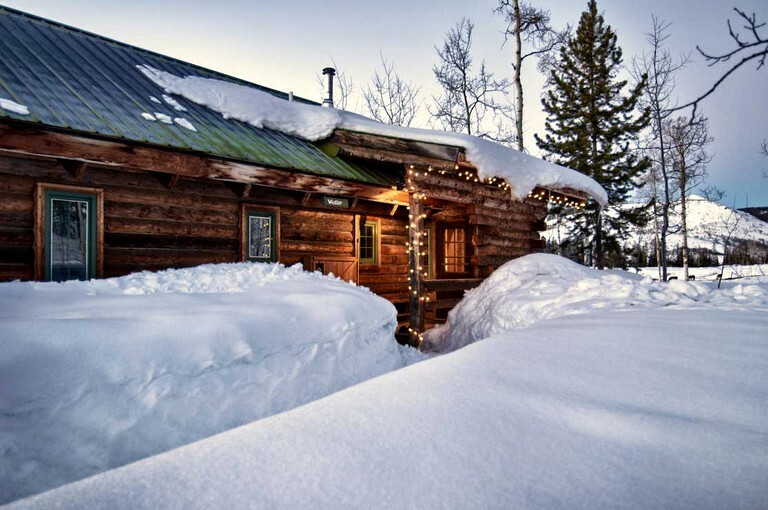 Bunkhouse: This luxury cabin is big enough for up to five people – perfect for your next family getaway. 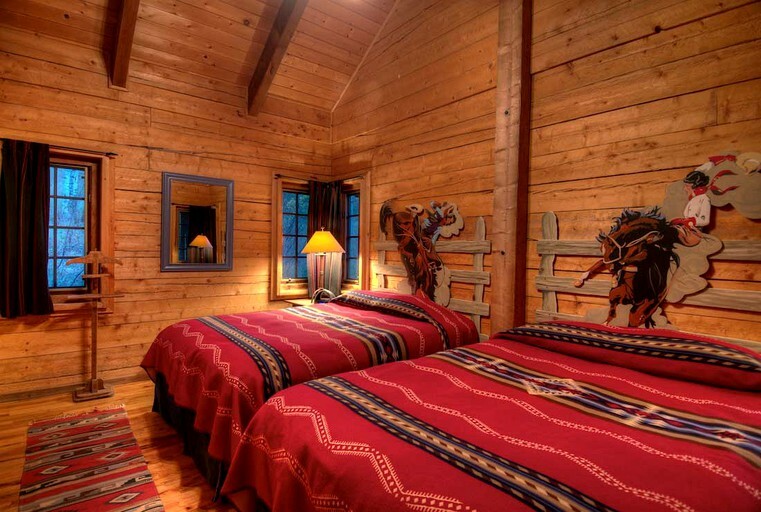 This Western-style cabin has beautiful high ceilings, and there are two full bedrooms. In one bedroom, there are two queen-sized beds, and in the north bedroom, there is a queen-sized bed and bunk bed. 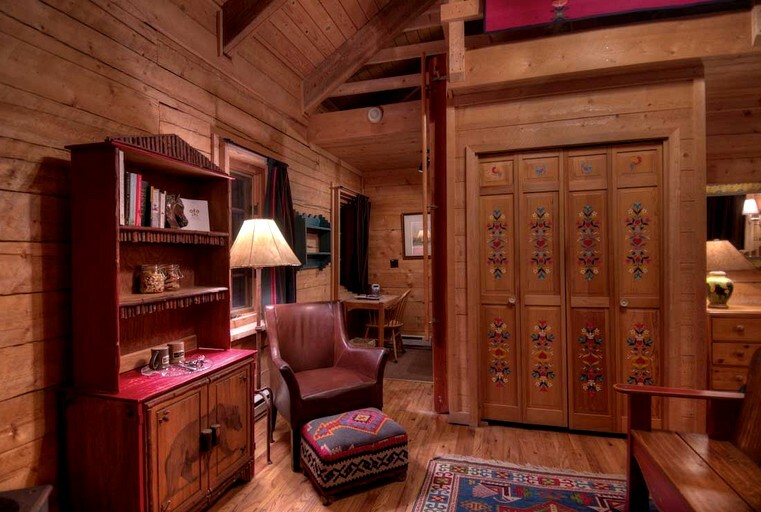 Cozy and unique, this cabin is a perfect place to reconnect with your loved ones. 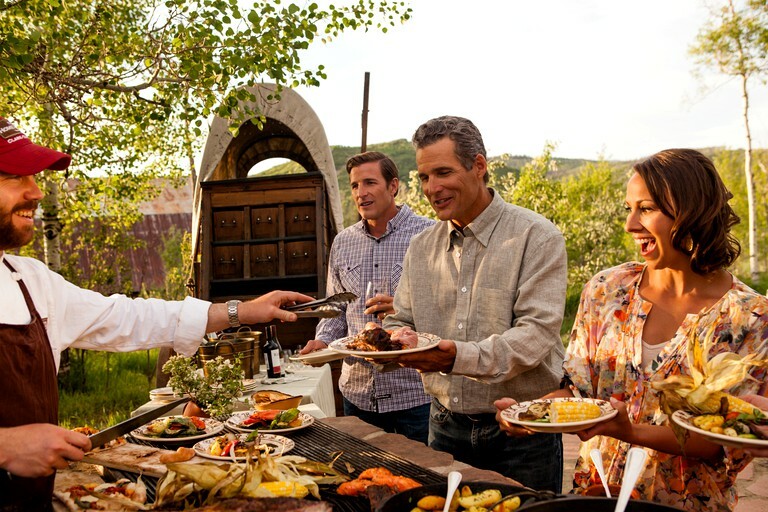 This site’s restaurant boasts Executive Chef Clyde Nelson, whose gourmet cuisine is highly praised. In fact, some people visit just to eat at the restaurant! 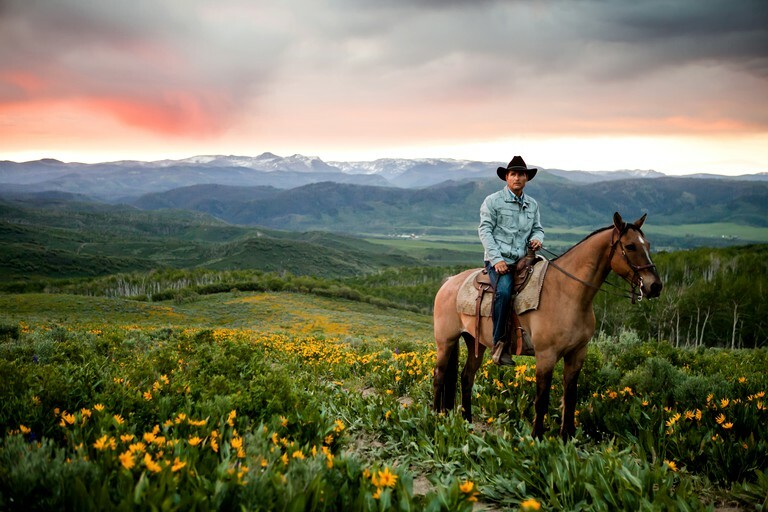 There are also experienced wranglers, hiking guides, fly fishing guides, ski guides, as well as gear and equipment to help you have a great adventure while staying here. 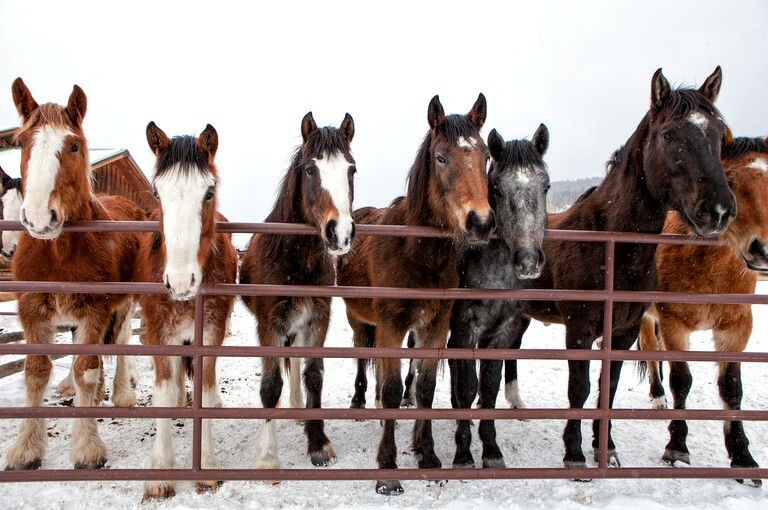 A shuttle to Steamboat Ski Resort is available. There is also a shuttle service to Hayden Airport (HDN). 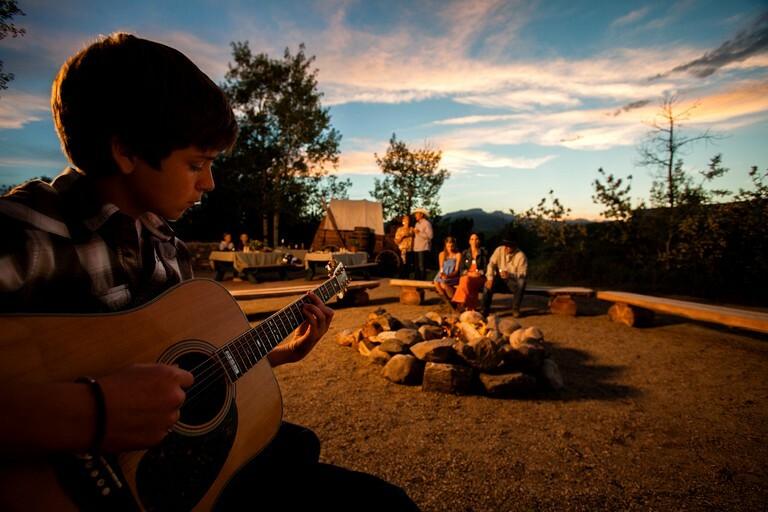 All year round, this glamping site offers tons of fun activities and excursions. 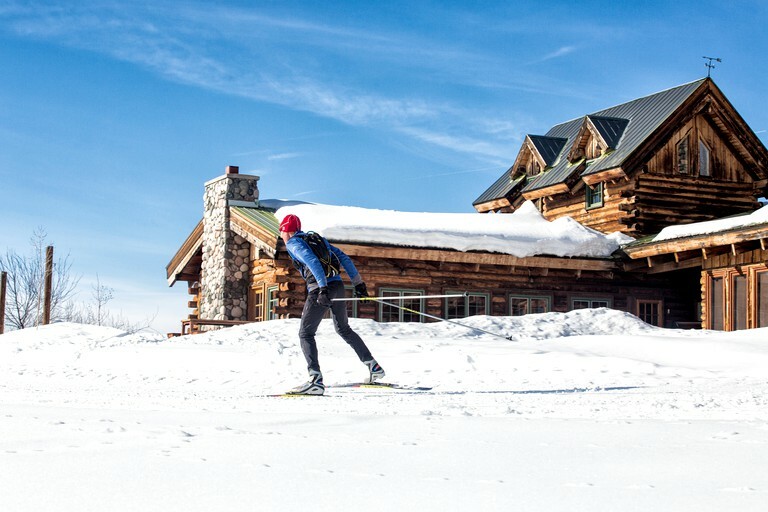 No matter what you’re looking for or whether there’s rain or shine, there’s something to keep you busy while staying at this beautiful property. 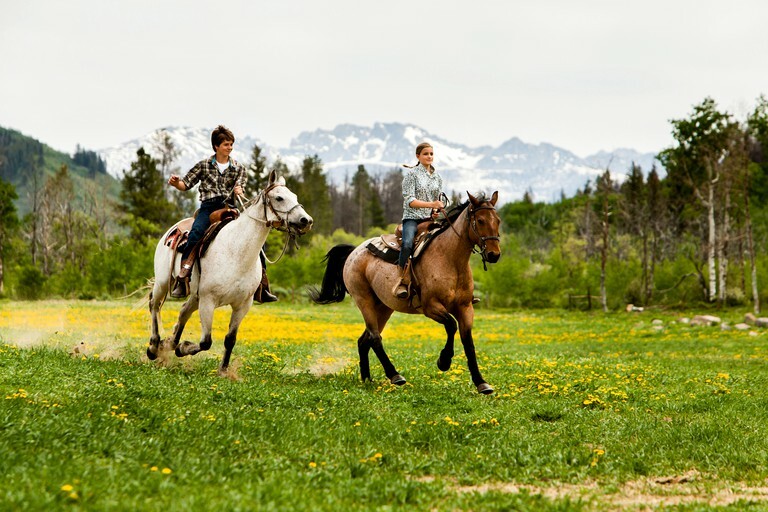 Just to give you an idea, some of the activities you’ll be able to do include: horseback riding, fly fishing, swimming, hiking, yoga, cycling, rock climbing, white water rafting, skate skiing, backcountry skiing, cross-country skiing, snowshoeing, tubing, going for sleigh rides, winter horseback riding and downhill skiing. There is also live entertainment here and there, as well as a very fun children’s program to keep the little ones busy and having fun. 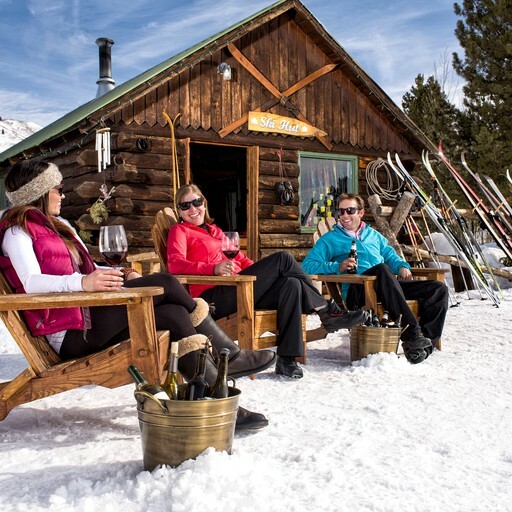 The prices for the following cabins are based on double occupancy, with a two-night minimum stay: Roo, Kanga, Birdhouse, Whistler, Sundown and Compromise. 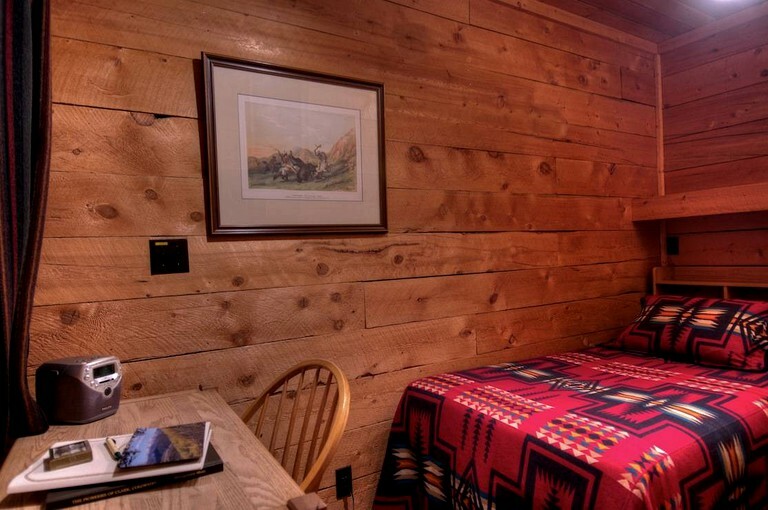 The prices for the Bunkhouse Cabin are based on four people staying there. 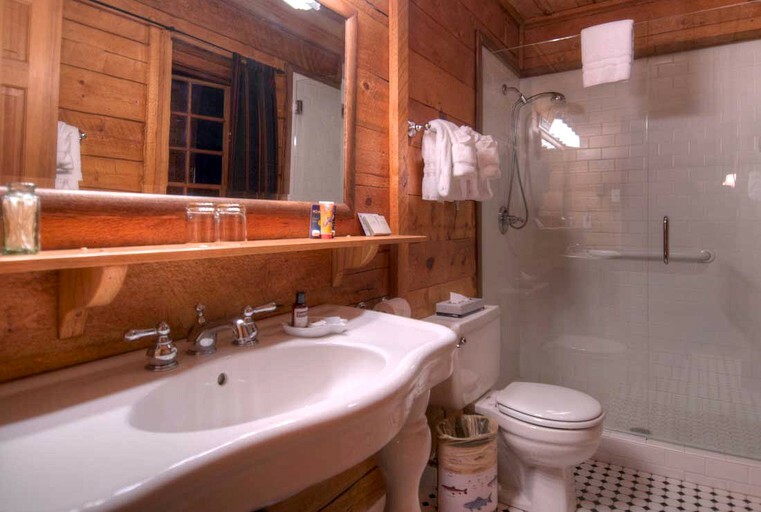 And the prices for the Columbine Cabin are based on six people staying there.